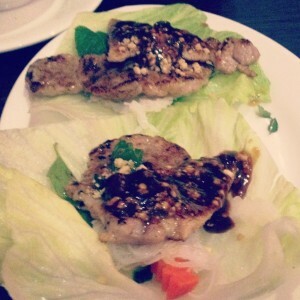 I previously reviewed Bay Tihn, a Vietnamese restaurant located in the Sydney suburb of Crow’s Nest. Whilst I enjoyed the food, I lamented the fact that while everything on the menu sounded incredible, it was difficult to sample a range if you were only attending with one other person. So, you can imagine my delight when I saw an email pop up in my in-box inviting me to sample Bay Tihn’s new Vapas Experience Menu. The menu is six courses, with accompanying wines (just a few mouthfuls of each, so there’s no danger of becoming a trashy dinner companion – unless, of course, if you steal their wine), and there’s no limit to how many people at your table need to order it. This is a refreshing change from restaurants that tempt you with divine tasting lists but require you to be there with four plus diners. The dishes are brought out one by one, with a slight pause in-between. 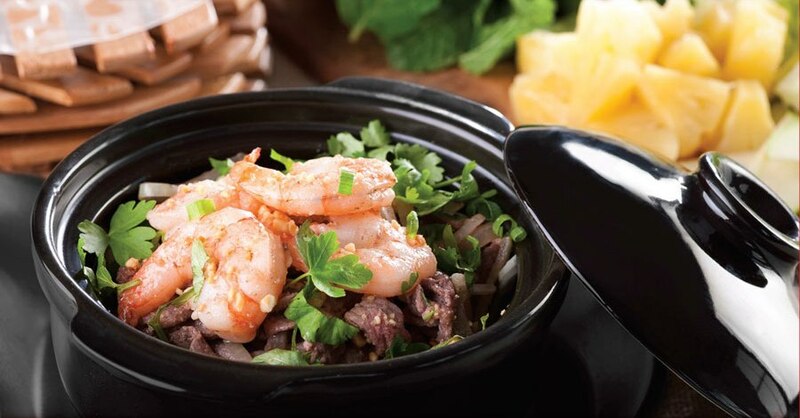 This is effective, as it lets you truly savour and experience each dish, without the pressure of having to try the next one before it becomes cold. The first dish bought out was Little Race Cakes. These are divine little cakes that are slightly crispy on the outside, and soft and delicate in the inside. 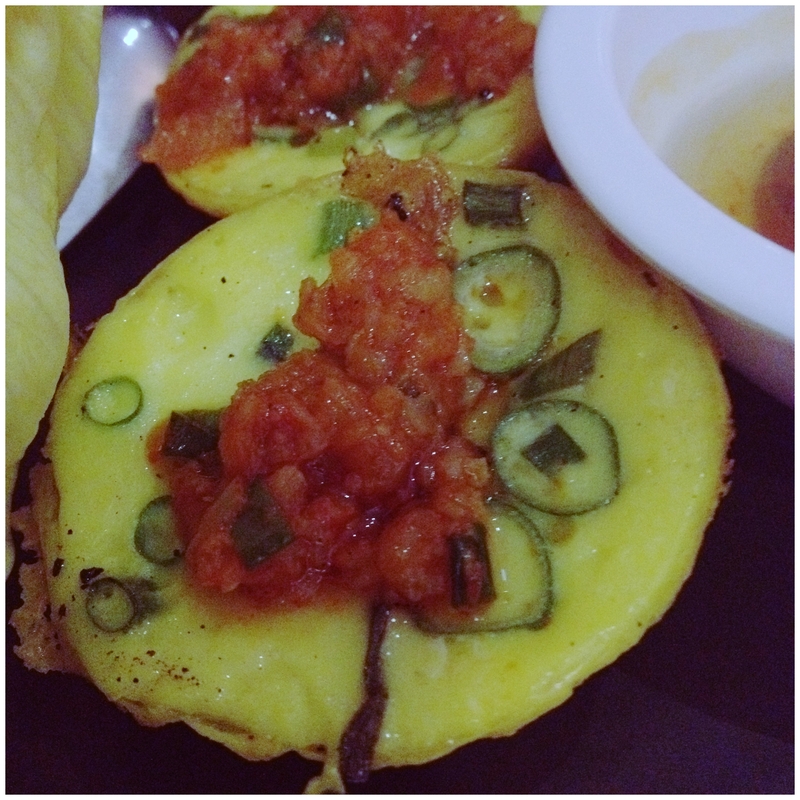 They provide a fresh flavoursome start to the meal, and get you excited for what is to come. When I was growing up, I hated seafood. My seafood loving parents not-so-secretly loved this, as it meant more oysters for them. As I’ve grown up, so has my palette, and seafood has become a firm favourite – especially soft shell crab. Soft shell crab is a dish that can often disappoint, as it needs to be a perfect mixture of soft and crunchy. Luckily, Bay Tihn has succeeded in delivering both of these in their Tamarind Soft Shell Crab, and has provided a delicious seasoning to boot. The seafood continues with the firm favourite for those who do not usually enjoy seafood with Salt and Pepper Calamari. 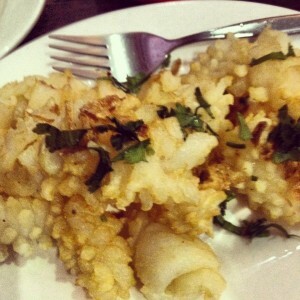 The serving is plentiful, and the calamari is slightly chewy without becoming rubbery. My only criticism is that the coating is slightly floury, but the perfect combination of the salt and pepper makes this easy to forgive. The next dish is Pork Skewers, which is deceptively named. It can be better described as a piece of marinated pork resting on a parcel of vermicelli noodles inside a lettuce leaf (but that could hardly fit on the menu!). I love this dish, and the variations of it – it’s so light and full of flavour, and an extra bonus? Food you’re encouraged to eat with your hands! Next served is Tender Cubed Beef which is served on top of a lettuce salad. This is the one dish that while I can’t technically fault, disappoints me, simply because it seems like such a heavy and boring option compared to the other dishes. The final dish is a Duck Curry. The dish is incredible – the duck falls apart in your mouth, the spices are present without being overwhelming, and lychees provide a sweet and fresh foil to what could otherwise be a stodgy dish. While it is an amazing dish to end on, it’s a little unfortunate because if you’re anything like my dining companion and me, you may be a little too full to finish it. The wines all complement the dishes well, and for $49.50 per person (wine inclusive), it’s a competitive deal. 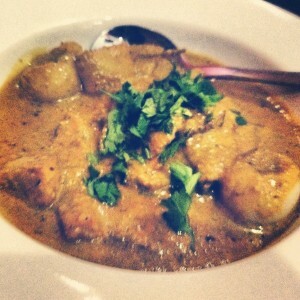 This entry was posted in Food and tagged food, restaurant review. Bookmark the permalink.